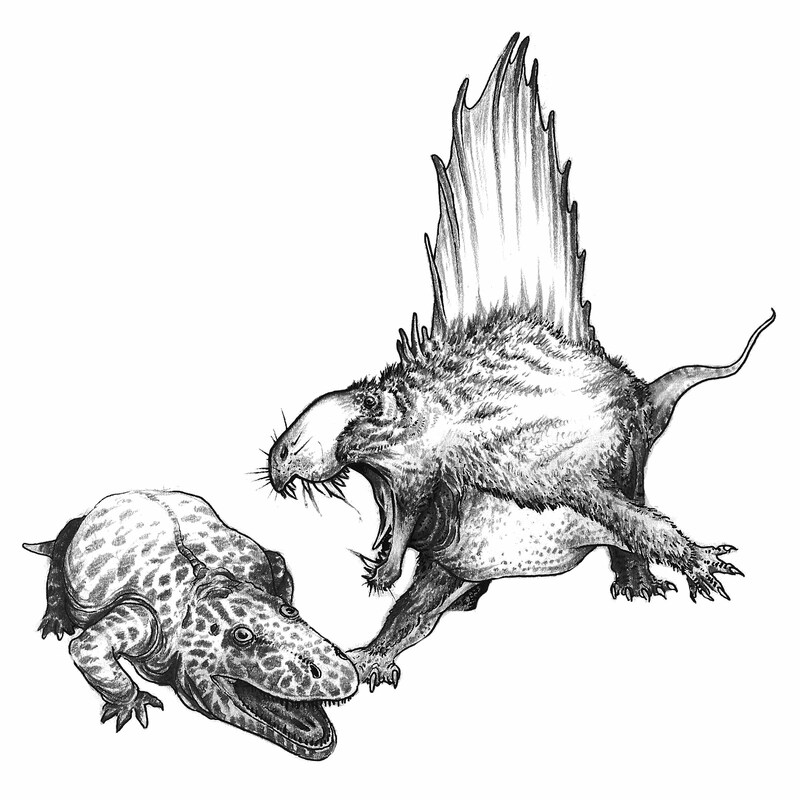 Dimetrodon (meaning "two measures of teeth") is an extinct genus of synapsids that lived during the Early Permian, around 295–272 million years ago. his attacking a male eryops. eryops is a genus of extinct, amphibious temnospondyls lived in early Permian about 295 million years ago.